Sweaty palms. Dry throat. A bit fidgety. Don’t know how to stand. No idea what to do with arms. Feeling faint and nauseated. Yep, your boss has just asked you to do your team’s next conference presentation, and you’re already living it all out in not-so-glorious Technicolor. The thing with presenting is that you’re expected to get up in front of a raft of people, speak without being boring, work the stage like a pro, and do it all without fainting or vomiting. But it’s fine, because some people are just good at it – like some people are extroverts and some people are introverts, right? Well, sort-of wrong. 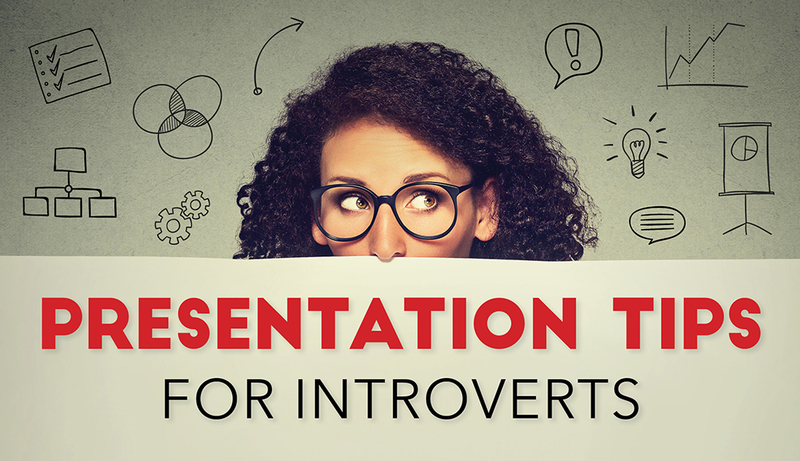 Some people are naturally very good at presenting, and yes, those people might be extroverts, but this doesn’t mean that introverts can’t be good presenters too. Read on for five tips on how to get over your presentation fears – especially if you’re an introvert. But just before we get into that, let’s just level-set on what an introvert is. Contrary to what people assume, introversion isn’t all about locking yourself away and not talking to people. Instead, the biggest difference between introverts and extroverts is around the amount of stimulation they need to function well, and how they recharge afterwards. So that means if you’re an introvert you need less stimulation; you tend to want to withdraw in order to get your energy back and feel refreshed. But if you’re an extrovert, you need a bit more stimulation; you want to be around people to get your energy and your motivation. For that reason, introverts can find that it’s draining being around people because it takes a lot of their energy. Often they need to regroup and recharge after social activities because they get "overstimulated." So you can see just why presenting to a roomful of people can be a challenge for introverts. But this "why" is more than just being interesting dinner table fodder; now we know the "why," we can use this to inform the way we prepare for and deliver presentations. 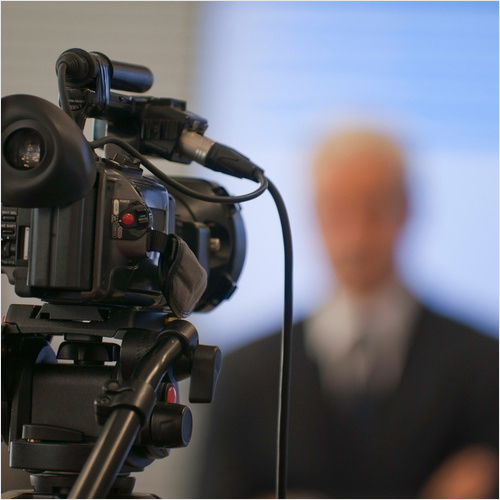 Despite what people might tell you, you don’t have to be funny or inspirational or even especially charismatic to be a good presenter. You just have to say something that the audience feel they benefit from hearing. Extrovert presenters get their energy from their audience – remember they thrive on that kind of stimulation – but that’s really overwhelming for an introvert. One way to hack this extrovert charisma for introverts is to present something you actually care about. "Yeah, yeah, you should see the kind of stuff I have to present" – I hear you all cry. Persevere – the more you get into the content, the easier it is to latch onto a morsel of something that you can relate to and bring to life. We’ve all been in those presentations where the presenter (likely an extrovert) absolutely loves the sound of their own voice: they’ve barely got through slide 5, and 45-minutes deep in the session we’re wading through a tenuous anecdote that started "This one time, when I was driving a Jeep through the Australian outback…"
Though more charismatic, and potentially more engaging to listen to, these kind of presenters provide companies with a veritable galleon full of loose cannons: the anecdote rolls on and the boss is standing stage left muttering "Just stick to the script, Brian." And it’s this crucial difference between introverts and extroverts that can make introverts a safer pair of hands. Because presenting is likely to be a bigger deal for an introvert - and they want to control as many variables as possible - they’ll prepare far more than the extrovert who gets a thrill from winging it. Another trend in corporate presentation preparation is creation by committee. This lovely picture of collaboration often turns to mud-slinging with no one really sure what they’re doing. If you are an introvert, you might find you can write a better presentation on your own than as part of a committee. Consider volunteering to create the first draft, and then ask for feedback and input from a group if you need to. 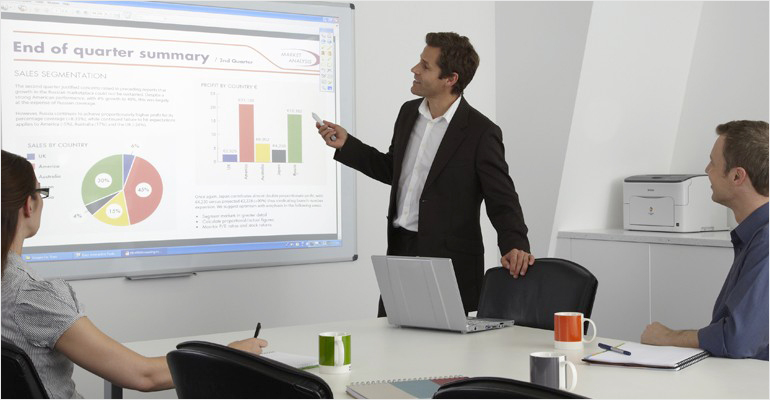 With your presentation written, the tendency might be to put a summary of what you’re saying as bullet points on your slides – that should help right? Err, no. Your audience will read your notes and tune you out completely. "Win!" cry the introverts. Not so fast. Your audience will read ahead and get frustrated when you’re still on the bit they finished reading a few minutes ago. Having waves of negative body language wafting towards our introvert presenter is more off-putting than you might think. You need to make sure your slides support your message with a real focus on visuals: things like diagrams, graphs, pictures. Not bullet points. And use animation to pace your content – it’s like working up towards a really funny joke, but your audience has read the punchline five minutes ago. Think of it like this – the slides do 50%, you do the other 50%, and if you need help getting your slides up to scratch, have a look at the Slideshare above on three easy hacks to make it look like your presentation was created by a pro. So if introverts find presenting difficult because they’re overly stimulated – there are too many new experiences happening at once – one key way to deal with this is to reduce the amount of "new experiences" you’ll be subject to in the presentation itself. This is the point I made earlier about removing the variables – the more you know your content and what you’re going to do and say, the more you can tick off your list of unknowns. They say practice makes perfect. They’re not wrong. By all of this, I don’t mean you should write a script, and in your best Shakespearean English recite it until you know it by heart. Instead, prepare extensive speaker notes and use them as your starting point. You’ll find that you use different expressions each time and this process engages your brain more actively, so the content becomes more familiar more quickly. And when I say practice, I don’t mean flick through the slides thinking about the speaking points in your head. I mean set up a screen and stand in front of it. You know what? Go the whole hog and set up a video camera. Cringe. Does that make your skin itch? Well, there are some pretty substantial benefits for the budding introvert presenter in making a recording of their presentation. Not only do you get to practice the whole thing, but as you watch it back – cringe, it’s happening again – you get to see what your audience will see, removing any wonderment you might have during the presentation about just how you look when you go for an ambitious gesture. The last variable you can control is the venue – if you don’t know where you’ll be presenting or who you’ll be presenting to then these are extra things that provide that unwanted stimulation. Sidestep this issue by visiting the venue beforehand – do a dry run if you can, and then introduce yourself to some of the people in the audience – it’s always good to look out for familiar faces. Normally, soft skills are a bit of a waste of time when you’re presenting. There’s only so much good eye contact can do if your slides are awful. But if you’ve followed all our advice, your slides are good and you’re well-prepared, there really is no harm in working on some additional soft skills just to calm you down. Just before you’re about to head out for your moment of glory, have a shake: shake your arms and legs to relax your muscles and get the blood flowing. Stand up straight. Yawn – trust me. Breathe consciously. This will combat your adrenalin surge and calm you down nicely. When you head out, find your friendly faces – smile. Remember you only have to do half of the work, your slides are doing the rest. This means you should interact with them: point out things, use gestures to control where the audience looks. And that’s it. 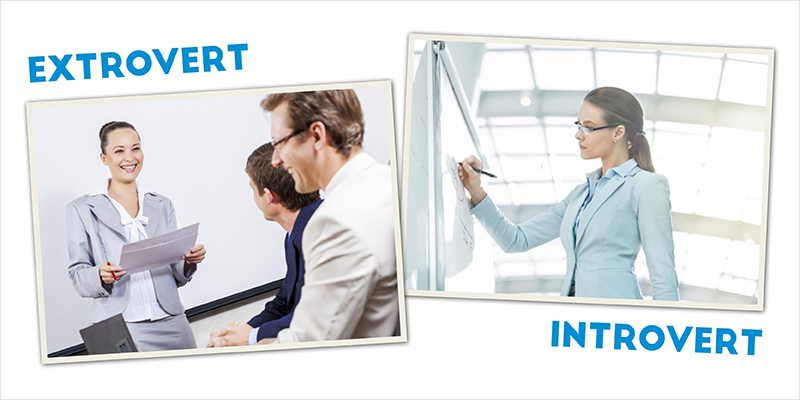 You’ve nailed a presentation like a pro (note: ‘pro’ doesn’t necessarily mean ‘extrovert’!). 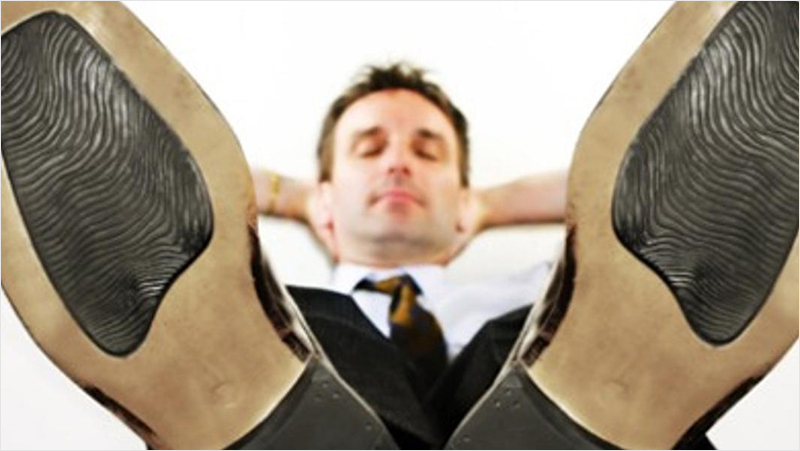 All that’s left is a bit of follow-up – note I said ‘a bit’: make sure you plan some time to recharge – away from people – don’t feel obliged to immediately ‘work the room’. Ain’t no introvert got time for that. If you found this article helpful, you might want to take a look at BrightCarbon’s Presentations for Introverts masterclass – more information about that here. Or if you want to do a bit of further reading, Quiet by Susan Cain is a great place to start, and where a lot of these theories come from. If you haven’t got time to read it all cover-to-cover, you can watch her TED talk below. Hannah Brownlow is a Senior Visualization and Messaging Consultant at BrightCarbon, a company dedicated to helping clients have visual conversations with their sales, marketing, and e-learning materials. In addition to creating visual presentations and helping clients develop compelling sales messages, Hannah also consults with clients on creating effective training and e-learning content. Hannah joined BrightCarbon in March 2014. I’ve always considered myself an outgoing introvert. I enjoy being around people, but I also very much need time alone. People also make me nervous, but strangely public speaking is one area that I really feel confident about. Nevertheless, these are some great tips, thanks for sharing! Practice ! Practice ! and Practice ! That’s the best way to leave off this fear. Take the first step toward getting over your presentation fears by creating eye-catching slides that can do some of the work for you. Access dozens of beautiful templates, millions of searchable images, +6,000 icons, +100 fonts and 50 color combination presets right now.